Canadian Army Cadet Unit Bunk Bed Donation, KDS Construction Ltd News. Community involvement is incredibly important to KDS Construction Ltd. We have dedicated this portion of our website to sharing some of the projects and events we've been honoured to participate in. 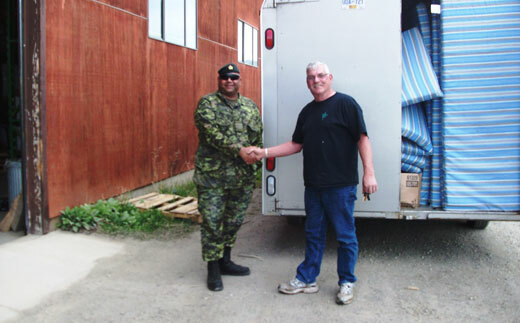 In 2010, KDS Construction Ltd. had the great honour of donating 390 bunk beds & mattresses to the Canadian Army Cadet Unit in Vernon, BC. KDS Construction Ltd recognized by Business In Vancouver magazine. KDS Construction steps up to help after theft.